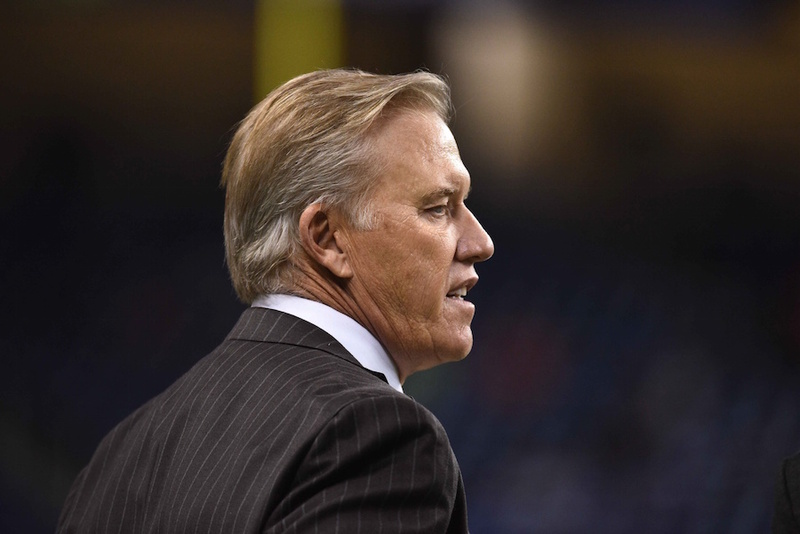 If there has ever been a clutch performer in the history of Colorado sports, it’s John Elway. The Drive. The Drive II. The Helicopter. The MVP. And those phrases became part of the lexicon when Elway was “just” a quarterback. As an NFL executive, his legend only grows. “Pull the Trigger” (which resulted in Tim Tebow to Demaryius Thomas). Bringing a new Sheriff to town (which resulted in two trips to the Super Bowl). Adding free agents Aqib Talib, DeMarcus Ware and TJ Ward (which resulted in the franchise’s third Lombardi Trophy). And don’t forget, no matter how “easy” it might have been, he did draft Von Miller (which resulted in a Super Bowl MVP). Oddly, however, his role as an executive has played out in almost the exact opposite fashion. As the Broncos EVP of Football Operations and GM, Elway broke out of the gates with savvy and confidence. He seemingly made every – Every. Single. – right move. Who was the only man on the planet who could fetch the great Peyton Manning? Elway, of course. Who wouldnt’ stand for the loss in Super Bowl 48? Elway, no question. And who watched one of football’s least-productive offenses for two years, won a Super Bowl, and said goodbye to an old friend of the franchise? Elway. Elway. and Elway. And that was just in the last few seasons. Where does a guy like that go from here? After all, he is human (or so we’ve been told). The Quarterback climbed the ladder until he reached the top. The Executive towered above the competition from the beginning. Ironically in Elway’s case as a suit, there’s not much room, or many ways, he can go “up.” But he can slip, one rung at a time. After missing the playoffs for the first time since 2010. After somehow finding himself in a tenuous (at best) quarterback situation for the first time since Kyle “Best Chance to Win” Orton. After a free agency period that didn’t necessarily wow the Broncos faithful. After letting a highly touted and extremely popular defensive coordinator walk. And – perhaps most importantly – after several drafts that, in retrospect, haven’t made the grade. After all that, Elway suddenly finds himself in unfamiliar territory. For the first time in a long time, maybe since the embarrassing loss to the 49ers in Super Bowl XXIV, Elway must quiet his critics. If Denver’s Duke walked away from it all today, never slipped on a tie again, he’d still be one of football’s most-accomplished GMs. But that doesn’t sound like an Elway thing to do. It’s time to be clutch. This year’s draft, which could ultimately determine if the Broncos can stay near the top of professional football for years to come, might require another Helicopter. A draft is unlike a fourth quarter or a final drive. We won’t know how clutch Elway was for at least a season, maybe three. If he’s as good as he can be when being clutch has been the requirement, Elway will add to his own near-mythical status. But if he’s not, if this draft goes awry like the few before, it might be a while before Elway and the Broncos are back on top. Elway, toting his 35 fourth-quarter comebacks, has always loved crunch time. Make no mistake; it’s crunch time in Denver.